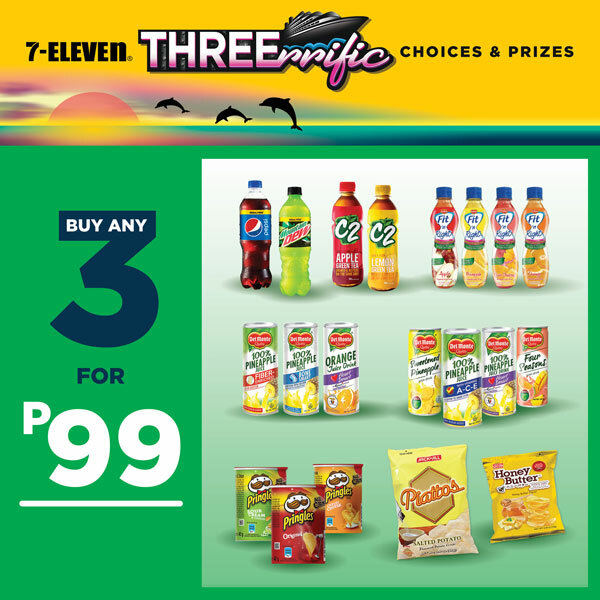 ﻿ 7-Eleven Philippines | Threerrific Choices and Prizes Summer Promo! 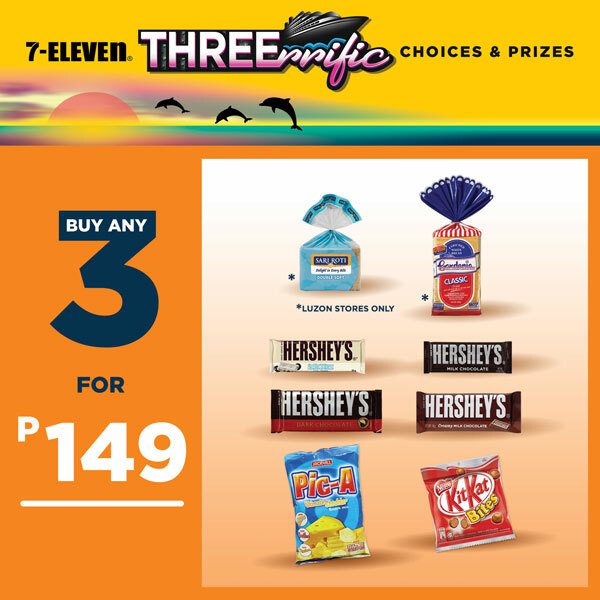 Home Threerrific Choices and Prizes Summer Promo! 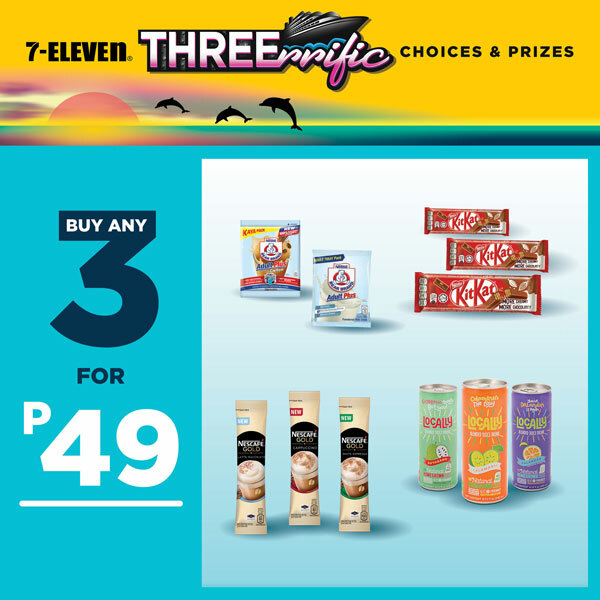 Threerrific Choices and Prizes Summer Promo! 1. 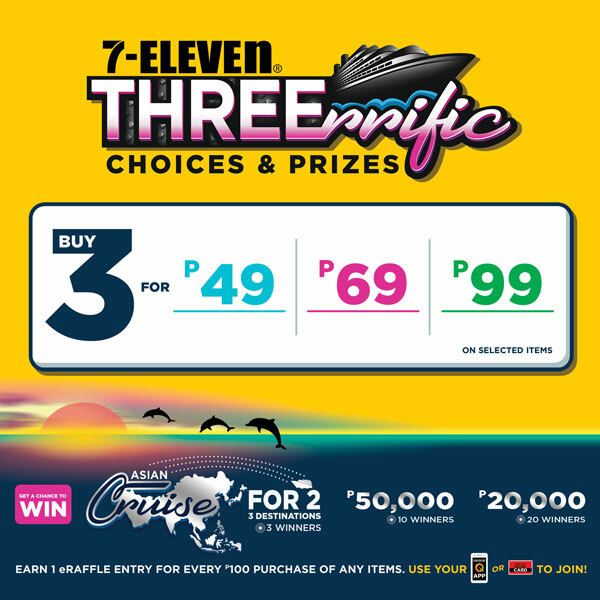 For every P100 worth of purchase in any 7-Eleven Store, customers can get an e-raffle entry. Just scan your CliQQ App or Card barcode. 4. 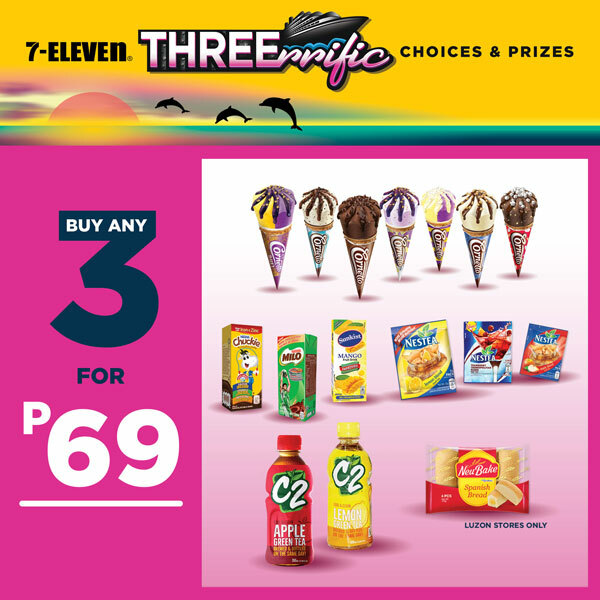 Promotion is open to all residents of the Philippines above 13 years of age with valid Philippine Passport except employees and family members of Philippine Seven Corporation, Franchisees, Suppliers, and Agencies including their relatives up to the second degree of consanguinity or affinity. Foreigners must be residing in the Philippines for at least two years. For the E-Wallet credits prize, it may have an exception. 6. Per DTI-FTEB Permit No. 4352. Series of 2019.